Jared Unzipped: Will You Be My Selfie Stick? 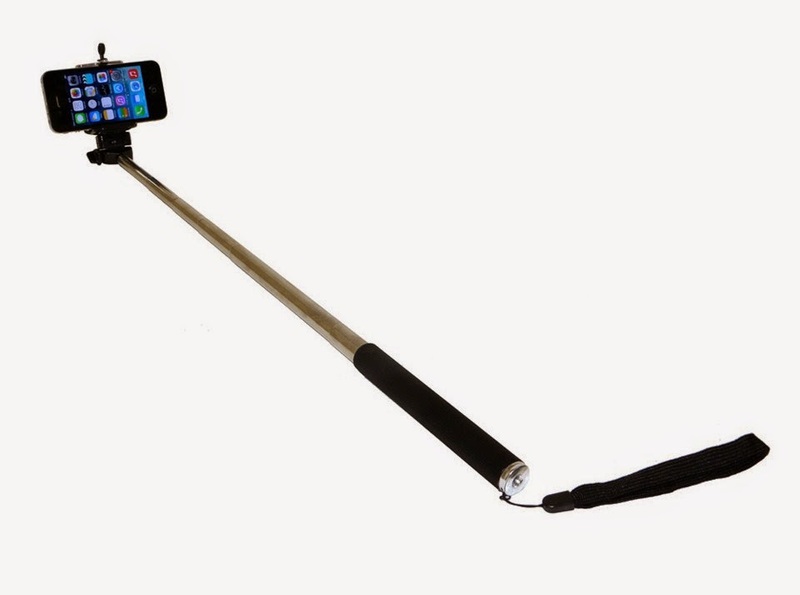 One of the biggest crazes to hit the globe in recent months (especially with hipsters) is the selfie stick. It's a simple, telescopic monopod which you can attach to your smart phone for snapping selfie photos. Many are equipped with Bluetooth capability, allowing you to use the opposite end of your stick to capture the photo. I am a little perplexed at the notion of a selfie stick, to be honest. I mean... isn't this a step backwards in terms of technology? You're surely asking me right now "What technology, Jared?" Here's what I can't wrap my head around. Why would I need a stick with Bluetooth capability to take a picture of myself? Aren't there these things called OTHER HUMAN BEINGS which can take the picture for you, thereby totally eliminating the need for the selfie stick? Has our society become so self-absorbed that we want to live in a seamless, impenetrable bubble where no other person can exist? Rest assured, If I'm traveling alone to an exotic locale and want to take a picture of myself with my surroundings, I'm going to ask someone there to take the picture for me! I don't need some silly stick to capture a photograph when any human being with half a brain can do it. We already have the best possible selfie stick you could ever design and produce -- us!